If you need to stock up on basics such as card, inks, stamps, papers and accessories, then we have a great deal for you coming up. There are 3 online sales which will be running over the next 6 days (each sale will last 2 days). 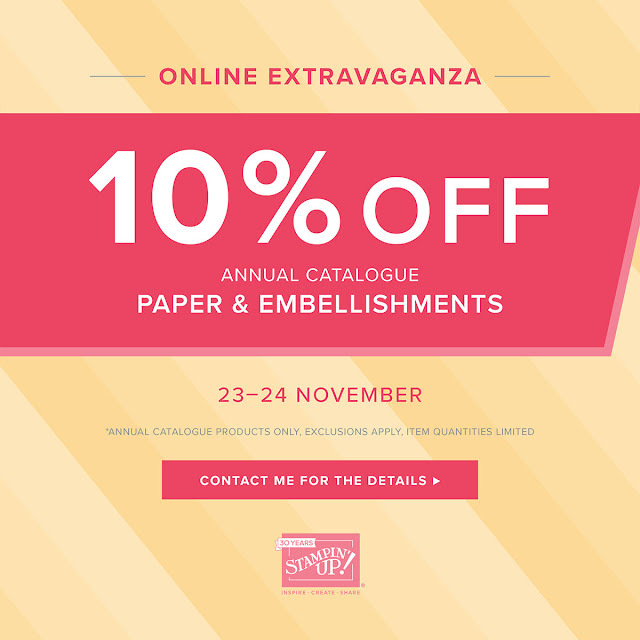 These will feature 10% discount off most of the items in the current Annual Catalogue. There are too many to list, so your best bet is to go to my website and view all the products in the sale. We start off with paper and embellishments from tomorrow 23 November, running until Saturday 24th November @ 11pm. 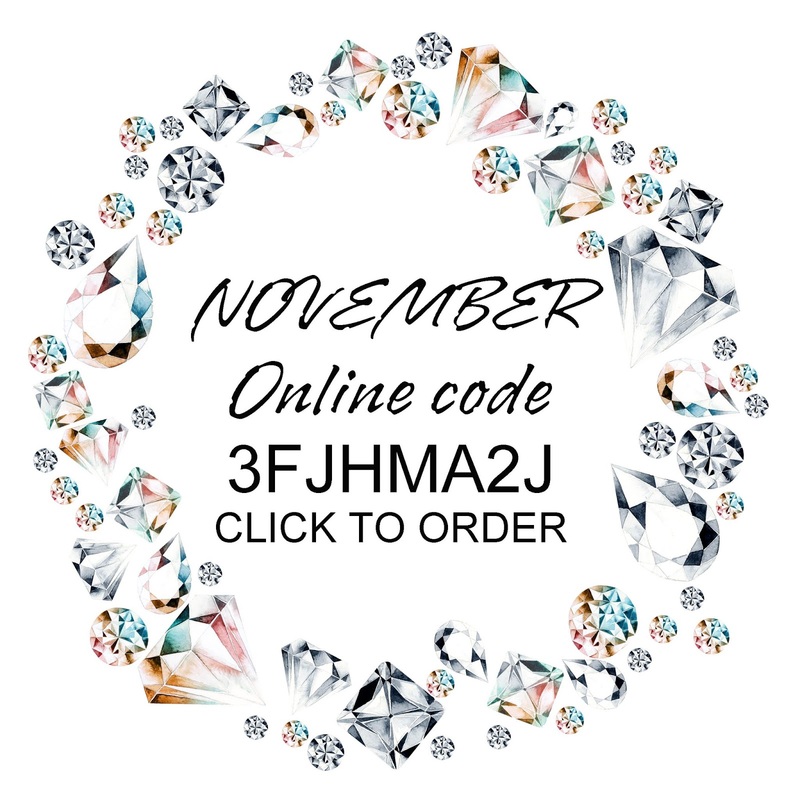 You can place your order online, or you can text, message, email me your order if you live locally and want free postage - my order will be completed 10pm Saturday 24th November . Remember this is ONLY for the Annual Catalogue, but is the PERFECT time to stock up on cardstock, Designer Paper and ribbons to name a few. 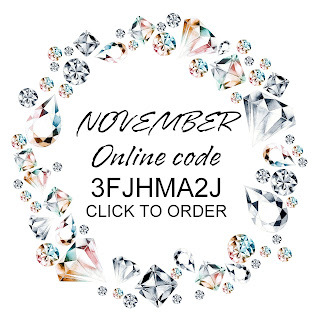 If you order online directly, make sure you use my November code 3FJHMA12J for a free gift too.